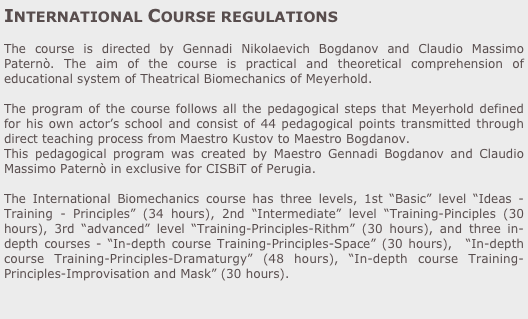 What is the meaning of Theatrical Biomechanics of Meyerhold? is the theatrical educational system. gives the technical basis to the actor. consists of 44 pedagogical principles.